Visit the department, meet students and discover what it is like to study Geography at Oxford. The School of Geography and the Environment holds an annual Department Open Day in early June, for which bookings are taken on a first-come first-served basis. The School also participates in the wider Oxford Open Days which take place on two days in late June/July and on one day in mid-September, and there is no need to book for these. On all Open Days you can attend a short talk followed by a question-and-answer session, and see displays about the course and past field trips. The dates for all the Open Days are posted early in the year on our website, along with other details. 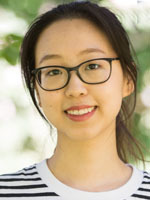 "The range and scope of opportunities here are endless, and all staff of the School are incredibly passionate about both their field and bringing out the best of us as undergraduates." 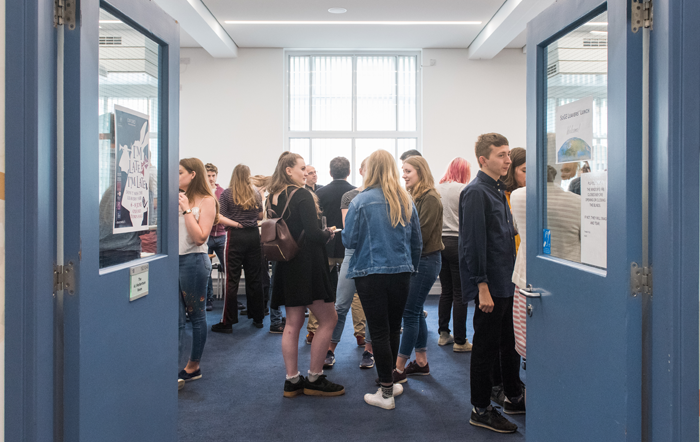 The School of Geography and the Environment holds an annual Department Open Day with events and information provided for prospective undergraduate students. Booking is now open and will close on Friday 30 May 2019. If you are interested in attending the event, please complete the online form below which will be returned to the organisers. If you have any queries about the Department Open Day, please contact the Events Officer. Every student who would like to attend must complete an individual booking. This Open Day is only open to prospective students, not teachers or parents. Places are limited to 200 attendees. Your booking will be confirmed shortly after registration and you will receive details of your chosen college preference by Friday 30 May 2019. As part of the Open Day students can have lunch in one of the 14 colleges that teach Geography. If you would prefer to visit a particular college for lunch, please indicate your preference below. We will try to accommodate your choice of college wherever possible. For more information on each of the colleges please visit their websites (links open in new windows). Any notes (access, mobility issues, etc.)? Please note there is no parking available at the School - please consider making alternative travel arrangements. Please see our contact details for information on how to find us. Information provided about yourself ('personal data') in the above form will only be used for the purpose of registering to attend the Open Day. If we need to use your data for an unrelated purpose, we will seek your consent to use it for that new purpose. We are processing your data only because you have given us your consent to do so by submitting your registration. You can withdraw your consent at any time by contacting us. In this event, we will stop the processing as soon as we can. However, this will not affect the lawfulness of any processing carried out before your withdrawal of consent. Access to your data within the University will be provided to those who need to view it as part of their work in carrying out the purposes described above. We will only retain your data for as long as we need it to meet our purposes, including any relating to legal, accounting, or reporting requirements. Your data will be held securely in accordance with the University's policies and procedures. Further information is available on the University's website. Information on your rights in relation to your personal data are explained here. 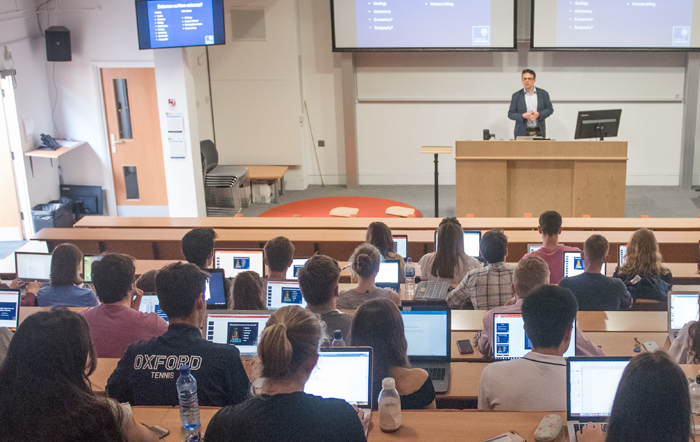 We (the University of Oxford) are the 'data controller' for this information, which means we are responsible for looking after it in accordance with the General Data Protection Regulation and associated data protection legislation. If you wish to raise any queries or concerns about our use of your data with respect to the purposes described above, please contact the Undergraduate Coordinator in the first instance. The School of Geography and the Environment participates in the University's Oxford Open Days. You do not have to book in advance to attend the School of Geography and the Environment at the Oxford Open Days. Tours of the Geography section of the Bodleian Library will be available all day. Department open for visitors from 10am - 3pm. 10.00: Information desk opens. Current students, course information and prospectuses will be available throughout the day. 10.45 - 11.45: Geography at Oxford talk, Halford MacKinder Lecture Theatre. Oxford Open Days provide a perfect opportunity to visit the colleges of University of Oxford. Please see the open day guide for college events posted on the Oxford Open Days website. 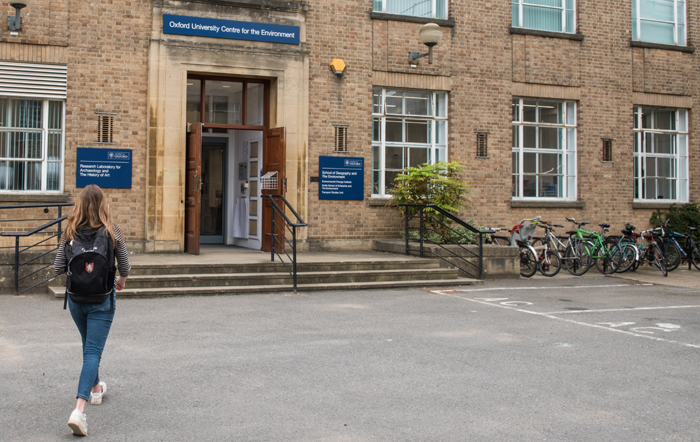 Please follow @OxOutreach on Twitter for the latest news and information about Oxford Open Days. Got an open days question? Get in touch using #OxOpenDays! Please refer to the University's Travel advice for Open Days and plan your journey - particularly if you are planning to travel by car. Please note that there is no parking available at the School and there may be congestion on the roads in and around Oxford.